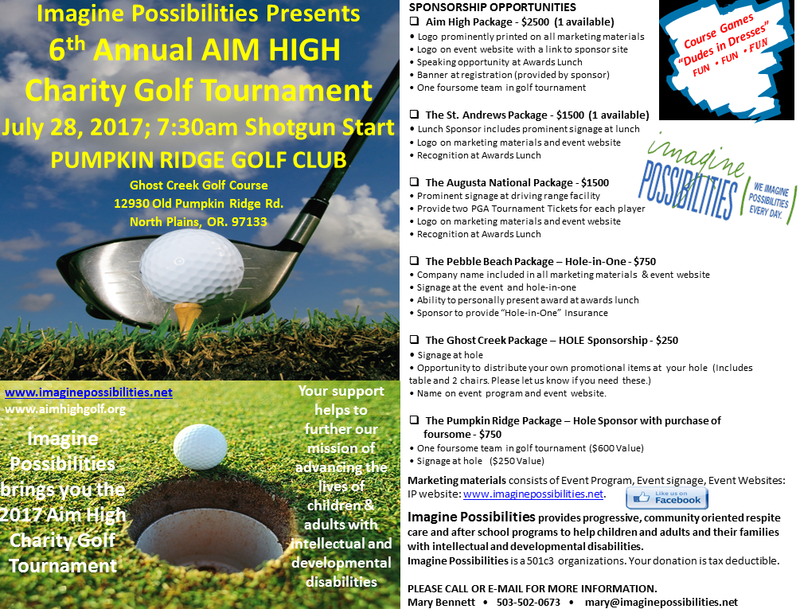 Imagine Possibilities is excited to announce our upcoming charity golf tournament! This year’s tournament will be hosted at Pumpkin Ridge Golf Club, on the scenic Ghost Creek Course on July 28th, 2017. The tournament features course games, prizes of all kinds (in years past, these have ranged from a restaurant gift card to a new car! ), a silent auction, and a delicious lunch during the awards ceremony. For more information, including how to register to play or sponsor the event, please click HERE to download and print the paper flyer, or watch this space for when online registration goes live. Geeks Who Drink Trivia Night Fundraiser – March 14th, 2017 Imagine Possibilities plant sale + Spring Fling dance!